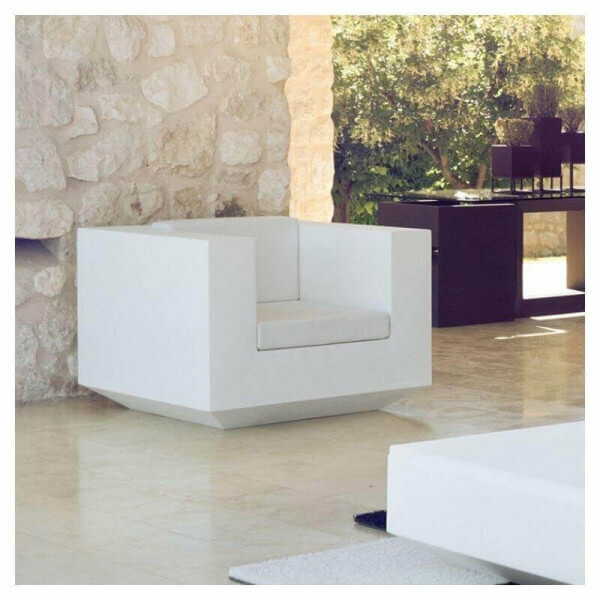 Large white contemporary outdoor living room Vela by Vondom. We show the complete set as on the main picture which consists in 2 large sofas of 420 x 100 x (h) 75 cm each and a coffee table of 100 x 100 x (h) 30 cm. You can also buy the sofa alone which is available in two dimensions: 300 cm or 420 cm. 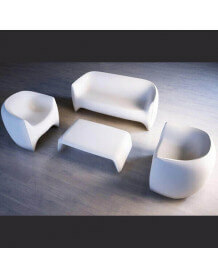 Deluxe luxury furniture, structure and cushions are provided for outdoor use. Do not hesitate to contact us if you want a different set, everything is modular.